Though last night's big game was a total flop sports wise, it was a complete success food wise! 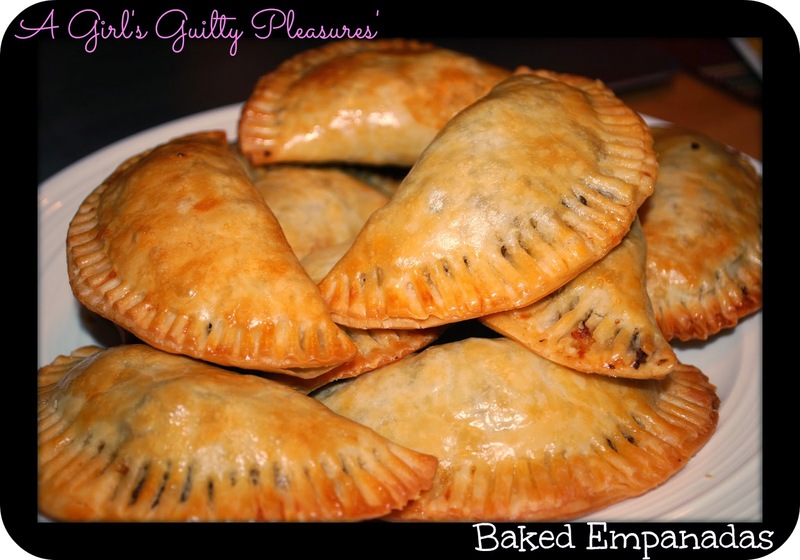 Check out these awesome (and easy) baked empanadas. Cut some calories with these delicious snacks that will be gone in seconds. 1 . Coat large skillet with olive oil. Saute onions and add in ground beef. 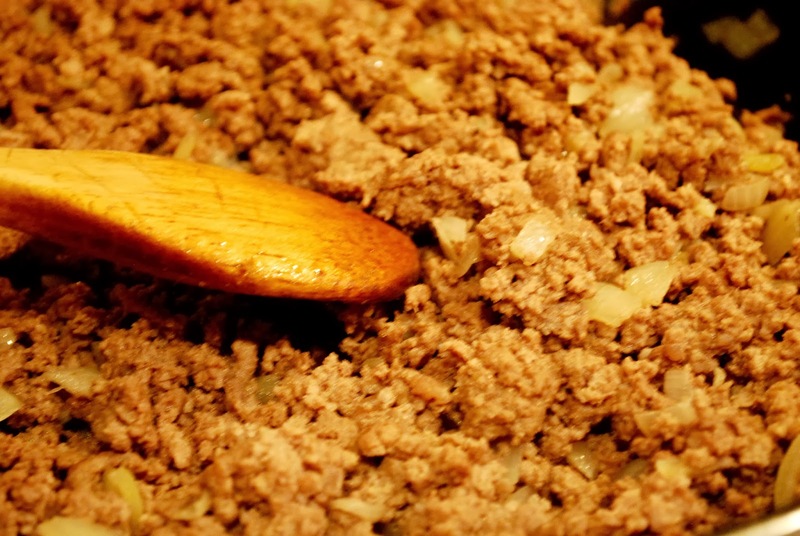 Make sure all ground beef is thoroughly cooked through and browned on all sides. 2. Add in 4 tbsp of sofrito seasoning to coat beef and let simmer. 3. 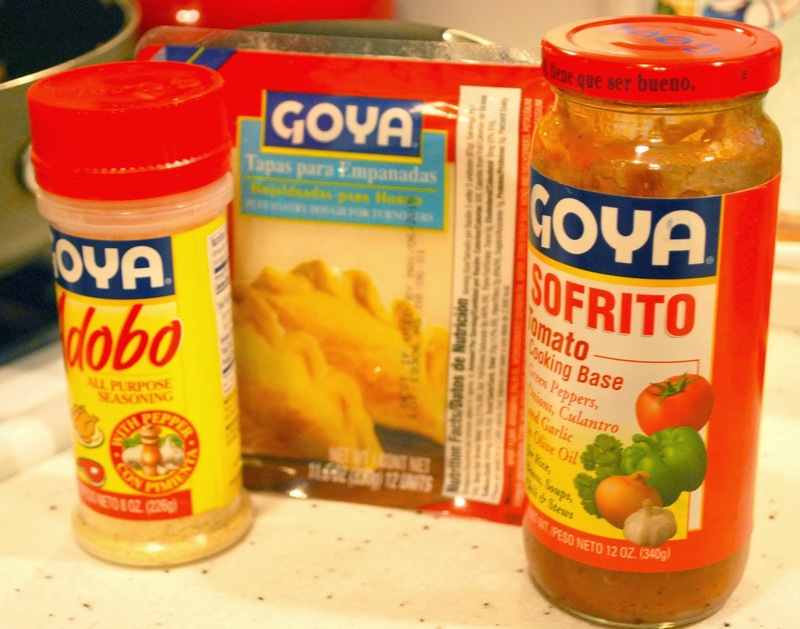 Generously sprinkle GOYA Adobo seasoning on all of meat and mix in thoroughly. Add more or less to taste. 4. 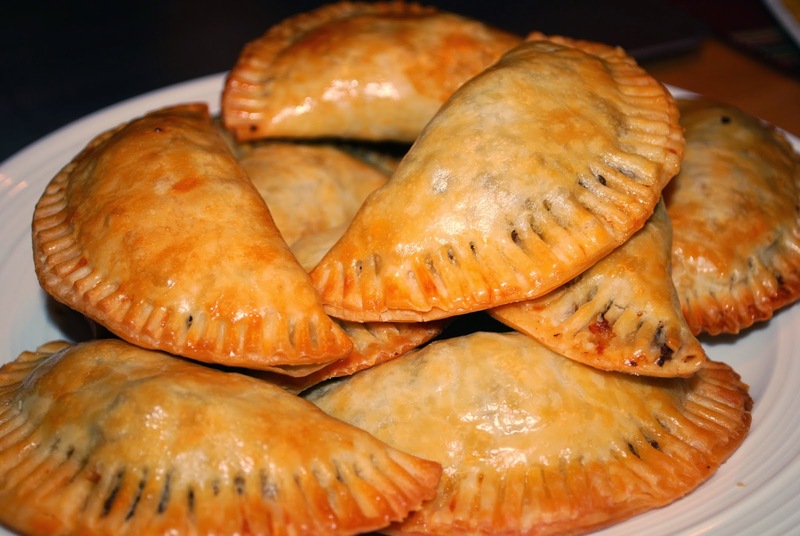 Once meat is cooked and seasoned, take an empanada wrapper and fill one half with beef mixture. 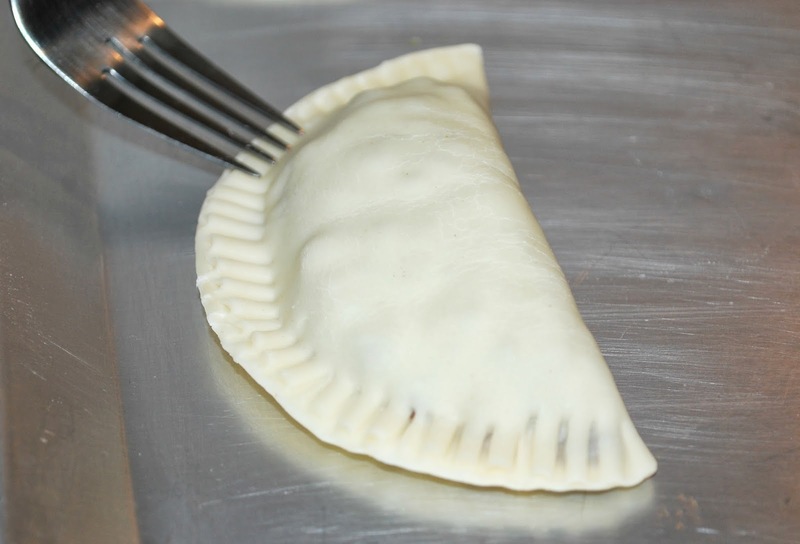 Fold it over and press and seal with a fork. 5. Crack and whisk one egg. 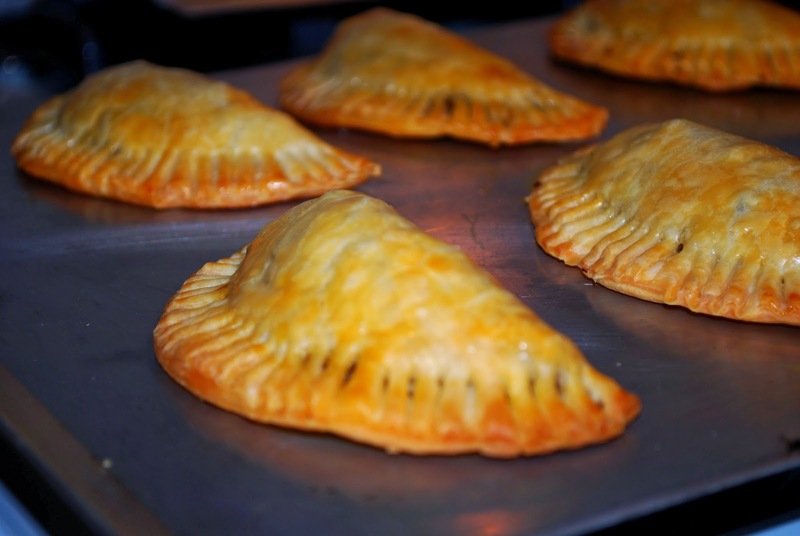 With a pastry brush, coat both sides of each empanada with the egg wash to help it crisp up in the oven. 6. 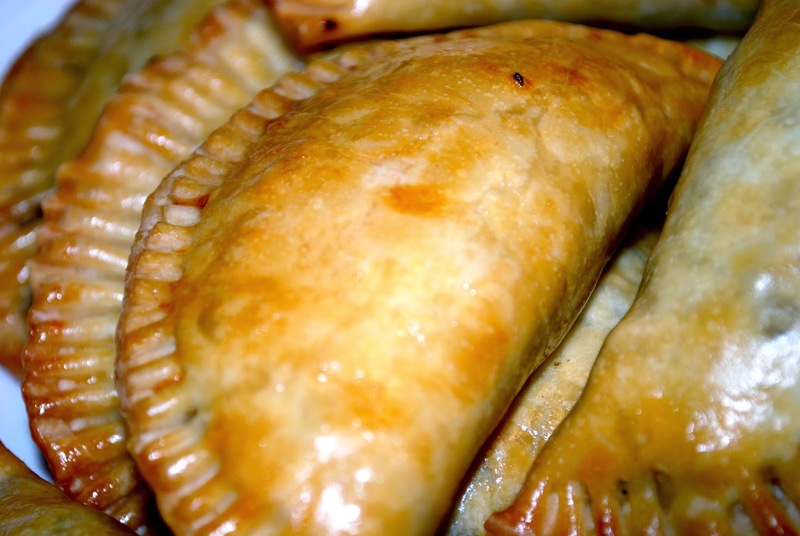 Baked on an ungreased baking sheet at 375 F for 15-20 minutes, or until empanada wrappers look cooked and crispy. These seriously went so fast. Next time, I will definitely make two batches!! These were fantastic. I probably added about double the amount of sofrito, but that's just my taste. Thanks for the recipe! !